The Paleo diet and related low-carb, high-protein eating plans have become popular in the last few years – including with me. But new research now suggests that if the protein is animal protein, eating a lot of it may not be such a good idea. And to make things more complicated, the high levels of animal protein that may be dangerous in middle age may be good for you after you reach age 65 or so. It’s odd, but the very same nutrients that appear to increase cancer risk at age 50 sharply reduce it at age 70. Let’s try to unravel these confusing new findings. . .
As readers of this newsletter probably know, your body depends on the amino acids in protein to build muscles, organs and cells. About twenty percent of our bodies consists of protein. It’s necessary for almost all the biological processes that take place in every cell. But researchers who investigate longevity and cancer are now warning that we are eating way too much protein. So much, in fact, that it could be shortening our lives – primarily by promoting cancer. “We studied simple organisms, mice, and humans and provide convincing evidence that a high-protein diet – particularly if the proteins are derived from animals – is nearly as bad as smoking for your health,” says Dr. Valter Longo, a professor at the University of Southern California who has performed a great deal of research into diet, aging and cancer. Of course, not all medical experts would agree with Prof. Longo’s comparison of meat to cigarettes. More about that in a moment. 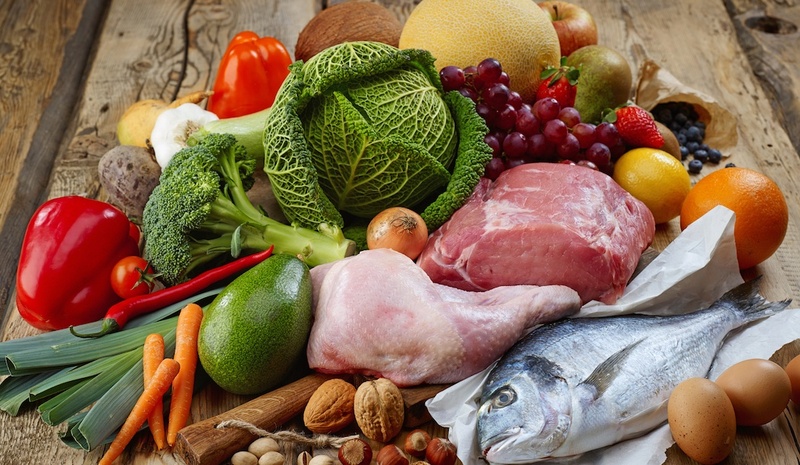 To better understand how diet affects cancer, Prof. Longo and his fellow researchers examined data from what’s called the NHANES study – the National Health and Nutrition Examination Survey. NHANES is a body of research designed to compile statistics on the health and nutritional status of adults and children in the US. It includes dietary surveys showing the foods that people of various ages consume. After analyzing the information from more than 6,800 middle-aged Americans, Prof. Longo’s team determined that those who were in their 50s who ate a high-protein diet – defined as more than 20 percent of their daily calories from protein – had a quadrupled risk of dying from cancer or diabetes complications and a doubled risk of dying from any causecompared to people who ate a diet low in protein.1 The data the researchers examined covered 18 years in the lives of these people. Even a diet containing what the researchers call “moderate” amounts of protein (about 16 percent of calories) were found to triple their risk of dying from cancer. However, this effect was only found in people whose protein came from animal sources like meat, eggs, and dairy. Folks who ate a high-protein diet that was mostly vegetarian did not suffer the same harmful results. And there was another important finding in the analysis: For people over the age of 65, the high protein effects were reversed. Among the seniors, those who ate the largest amounts of protein had a 28 percent reduced chance of dying from any cause during the 18 years. Their risk of dying specifically of cancer, compared to other folks, dropped by 60 percent. And the people in this age group who consumed moderate amounts of protein had better health than did those in the low-protein group. If this contradictory finding makes you throw up your hands and say “What’s the use?” – keep reading. I have an easy way to hit the sweet spot on your protein levels. First, let’s take a look at why eating protein has these perverse results. . . According to Prof. Longo and other researchers, protein’s problematic influence on health in middle-age is connected to the way it activates the growth factor known as IGF-1. IGF-1, insulin-like growth factor, is important for the body’s growth when we are younger but can contribute to cancers like breast and prostate cancer in middle age. However, low levels of this hormone are believed to contribute to memory problems, heart disease and muscle loss as you enter your senior years. Based on this, Prof. Longo believes we should eat less animal protein until age 65 to keep our IGF-1 levels down, and then start eating more protein to get them up. “Notably, the activity of these factors (like IGF-1), but also body weight, declines naturally with aging, which may explain why older people not only did not benefit but appeared to do worse if they ate a low-protein diet,” Prof. Longo says. However, other experts believe that while avoiding high IGF-1 levels can protect your health, the real key is maintaining IGF-1 at just the right level – neither too high or too low. Now, I’m not trying to confuse you here with conflicting information, but I just want to point out that the way IGF-1 affects health is not necessarily black and white. Too much can certainly make you more vulnerable to certain types of cancer, but too little may harm your cardiovascular system. The answer to moderating your IGF-1, research seems to show, is to exercise. Even if you go slightly overboard on your protein, exercise may beneficially modulate IGF-1 in your body. Studies like those are reasons why not all experts think eating meat can be compared to smoking. While a healthy, active lifestyle may slightly improve the health of smokers, smoking is a health disaster no matter how active you are. If you’re middle-aged and you exercise, it still may be a good idea to avoid overdoing protein-rich foods. Prof. Longo and other experts generally recommend eating about 50 to 60 grams of protein a day. Eggs have about 6 grams of protein each. Ground beef has about 30 grams of protein in a four-ounce patty. Tuna contains about 40 grams of protein in a six-ounce can. Beans have about 8 grams of protein in each half cup. Almonds have 8 grams of protein in a quarter cup. Peanuts have 9 grams of protein in a quarter cup. An avocado has about 3 grams of protein. A cup of fresh spinach has about 1 gram of protein. In general, nonanimal sources of protein are fine, moderate amounts of animal protein are safe, and you probably should eat no more than about 60 grams of protein total from both sources. And those past age 65 can safely consume more. Meanwhile, switching gears. . .Is it safe to combine certain supplements with one another, or to take them with medications? People often ask this. Our last issue provided some answers – if you missed it, it’s running again just below.